This month’s newsletter is a relatively short one, as we hope many of our readers in the Northern Hemisphere have been able to enjoy summer holidays as much as we have. We would like to inform you that we are looking forward to taking part in CBD COP 14 later this year, and hope you will keep us informed of your plans for the meeting. 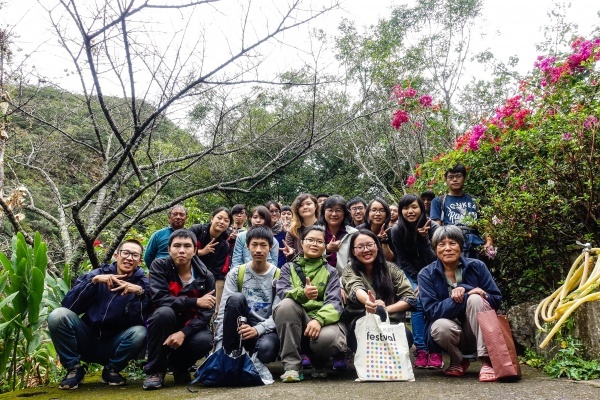 We are also pleased to present a new resource directory on “Nature-Culture Indicators and Knowledge Systems”, and introductions to one of our newest members, National Pingtung University of Science and Technology, and a recent case study from the Soil and Water Conservation Bureau, both in Chinese Taipei. We would also like to remind readers that we are busy with preparations for the 7th IPSI Global Conference (IPSI-7), which will be held in Kanazawa, Ishikawa Prefecture, Japan from 30 September to 2 October. IPSI-7 will be co-organized by the IPSI Secretariat and the Ministry of the Environment of Japan, and hosted by the Ishikawa Prefectural Government. Please watch this newsletter and the IPSI website for details. The Fourteenth Meeting of the Conference of the Parties to the Convention on Biological Diversity (CBD COP 14) will be held from 17-29 November 2018 in Sharm El Sheikh, Egypt. The COP meeting is the major biennial event of the governing body of the CBD, and the IPSI Secretariat looks forward to taking part in the meeting and collaborating with many IPSI members and friends. We are sure that many readers will be attending and holding activities at CBD COP 14. Please contact the Secretariat and let us know about your plans, so that we as a partnership can make the most of this major event and work toward mainstreaming the concepts of the Satoyama Initiative in important international policymaking processes. Please keep an eye on the COP 14 page on the CBD website here for more information on the event itself, and the IPSI website for updates on IPSI’s involvement in the meeting. We look forward to seeing many of you there. IPSI member the Center for Biodiversity and Conservation at the American Museum of Natural History (AMNH) recently announced the launch of a new online resource directory for “Nature-Culture Indicators and Knowledge Systems”. According to its website, the directory is “a collaborative initiative by the Action Group on Knowledge Systems and Indicators of Wellbeing – a community of practice focusing on the links between biological and cultural diversity.” It contains a wide variety of different kinds of resources that should be of interest to many readers “involved with sustaining and managing nature and culture”, including the Toolkit for the Indicators of Resilience in Socio-ecological Production Landscapes and Seascapes (SEPLS), which was produced as an outcome of an IPSI collaborative activity. The Action Group on Knowledge Systems and Indicators of Wellbeing is one component of the “Dialogues for Collaborative Action on the Links Between Biological and Cultural Diversity”, being implemented by AMNH along with the UNESCO-SCBD Joint Programme on Linking Biological and Cultural Diversity. The resource directory is in part one output from the Action Group meeting held in April 2018. The resource directory can be found on the AMNH website here. Started as an agricultural college in 1924, National Pingtung University of Science and Technology (NPUST) has been grown to offer nationally acclaimed programs in areas ranging from agriculture and engineering to management and humanities and social sciences. With an aim to provide innovative solutions to challenges at global and local levels, NPUST not only promotes basic research but also encourages its faculty to build research collaborations with industrial government agencies and communities. The community forestry research group of NPUST was established in 2004. Our goal is to empower local communities and to promote community-based ecotourism and agroforestry. We have devoted ourselves to surveying the unique culture and resources of the local communities and transforming them into a “Deep Economy” which emphasizes the concept of local purchasing and creates an environmentally sustainable system. Take Labuwan as an example, we have strived to help indigenous communities affected by 2009 Typhoon Morakot build resilience through participatory action research. To address the challenges that the communities faced, we worked with community members and gain access to resources and knowledge to develop sustainable community-based agroforestry and ecotourism practices. The promotion of these practices not only revives local knowledge and wisdom but also increases the communities’ food self-sufficiency and improves their livelihoods and well-being. For more information, see the NPUST website here. 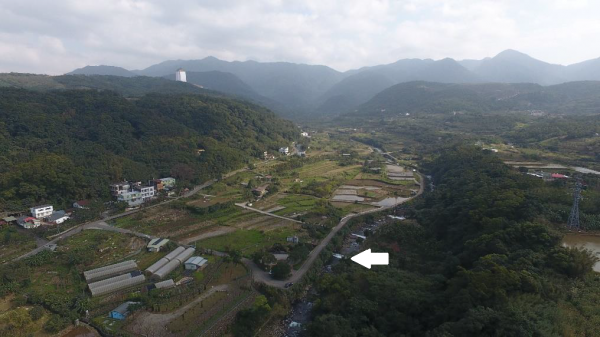 The IPSI Secretariat recently received a case study from partner organization the Soil and Water Conservation Bureau in Chinese Taipei, titled “Transformations towards sustainability – A SEPL restored by the Gongrong community”. Once a village with gloomy prospects due to improper land development, habitat degradation, pollution, decreasing income, aging, etc., Gongrong community was determined to transform in 2003 by following principles in line with those of the Satoyama Initiative. Based on literature review, observation and interviewing community members, it is revealed that transformation of Gongrong community went through three overlapping stages: to halt further environmental degradation (2004-2007), capacity building (2005-2011), and implementation of strategic plan (2012-2016). With the long-term capacity building provided by the Soil and Water Conservation Bureau (SWCB) and other partners, and the motivation and wisdom of a group of elders, Gongrong community was able to plan out its vision and goals through a participatory process and implemented its strategies and actions collectively to revive its SEPL.